Today I'm sharing more projects created with Funky Junk Interior's Old Sign Stencils. 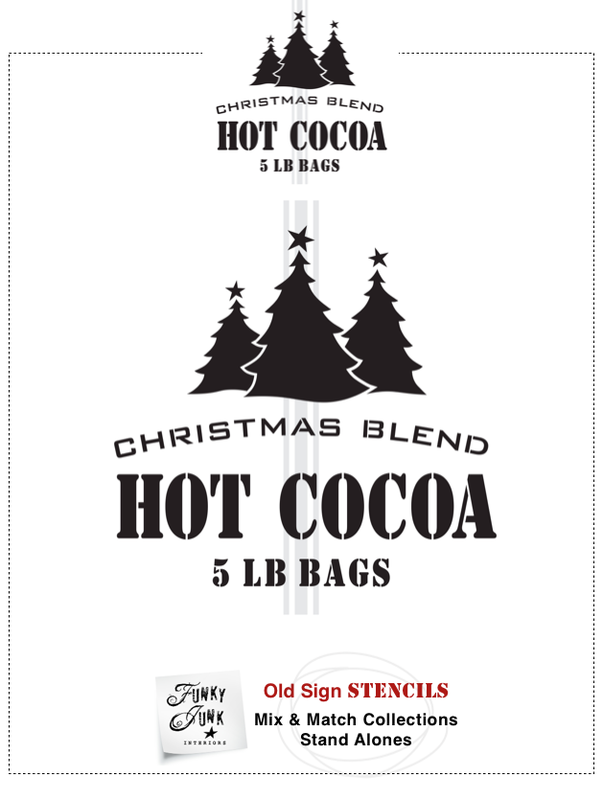 The Hot Cocoa stencil is available here for purchase. 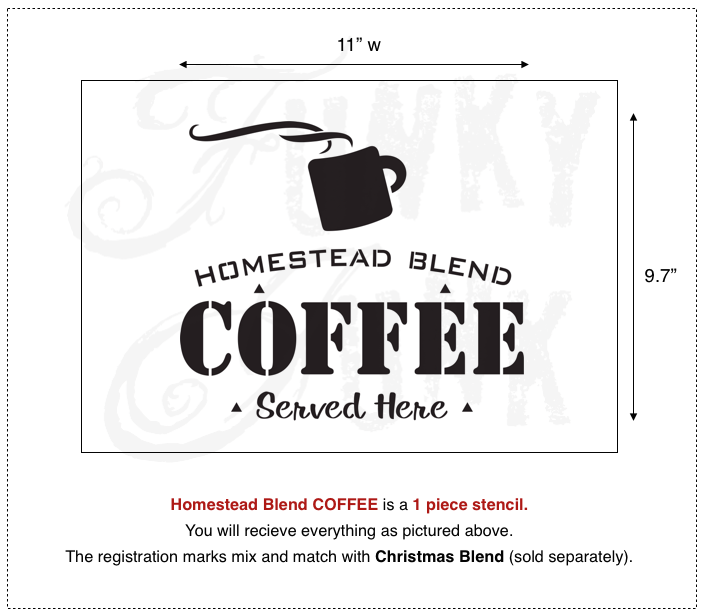 Homestead Blend Coffee is also available for sale. First I made a subway art style sign using some of the lettering and words from both stencils. AND then I stenciled a couple of trees onto an old coffeepot I purchased at the consignment shop. Stenciling on this curved coffeepot was a little tricky. It was impossible to tape it down all over but I managed to do a decent job holding the stencil down with any available fingers I had! I could have used a couple more at times. I also made a Hot Cocoa sign. I decided to try a black background on my signs for a different effect. If you don't know how to stencil, the links above will take you to tutorials from Donna at Funky Junk Interiors. It just takes a little practice. Anyone can do it! Thanks Donna for the complimentary stencils! Cute, cute, cute! Love the cocoa sign especially. I love these Carlene! The red coffee one has a cool subway art vibe to it! The black one totally looks like a chalkboard! Thanks for the mentions!